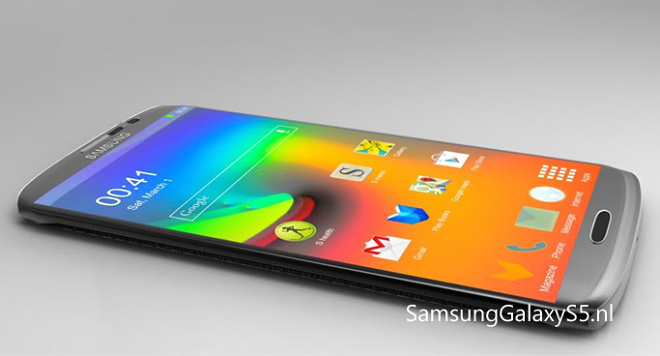 The render is based on leaked information concerning the hardware but also the software of the device. It features an aluminum body, transparent TouchWiz on top of Android, the now familiar faux leather on the back and more. First off the device has a bigger display and even slimmer bezels, based on the claims of the Galaxy S5 having a 5.25″ screen. The panel will, supposedly, have a 1440 x 2560 (2K) resolution. There should be some kind of fingerprint scanner but we can’t really see one on the renders. 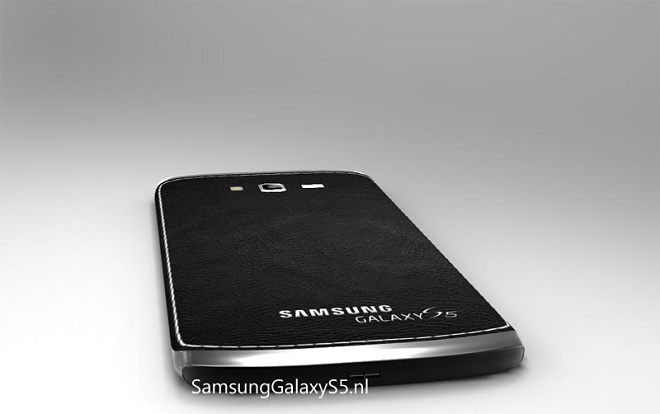 The housing of the device is aluminum but we could see two installments of the Galaxy S5 – one plastic and one metal. The leather-looking panel on the back looks really fresh, especially with that white on black stitching work. 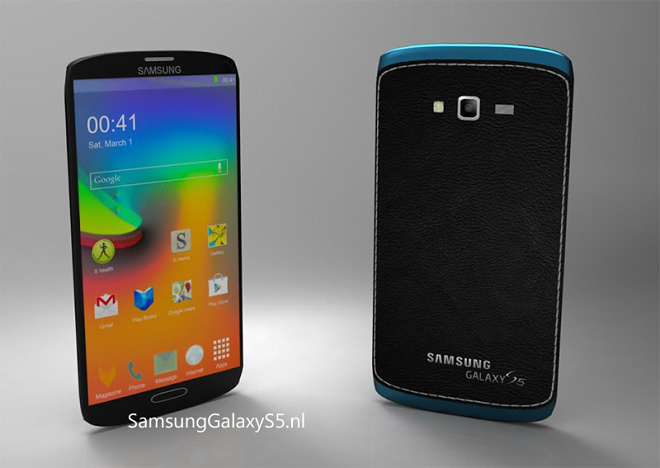 The device looks a little like the Galaxy S4 Active – it even has that cyan color option. The screen should be covered with Gorilla Glass 3, while the UI underneath should be the brand new, tile-friendly TouchWiz UI on top of Android 4.4 KitKat. The camera is taunted as a 20 MP unit although we’ve heard reports of a 16 MP ISOCELL unit. The battery could sport a capacity of 2900 mAh with rapid charging tech. In the end these are nothing more than renders based on rumors. 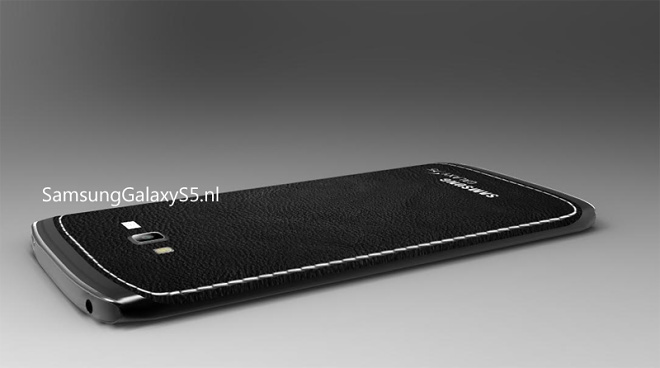 We’ve seen other renders of the Galaxy S5 but the question remains – will we see a Galaxy S5 soon or will we have to hold off for a little while?